Google is setting its sights on Apple and the ever-popular iPhone as it prepares to release Android N, its new mobile operating system, later this summer. 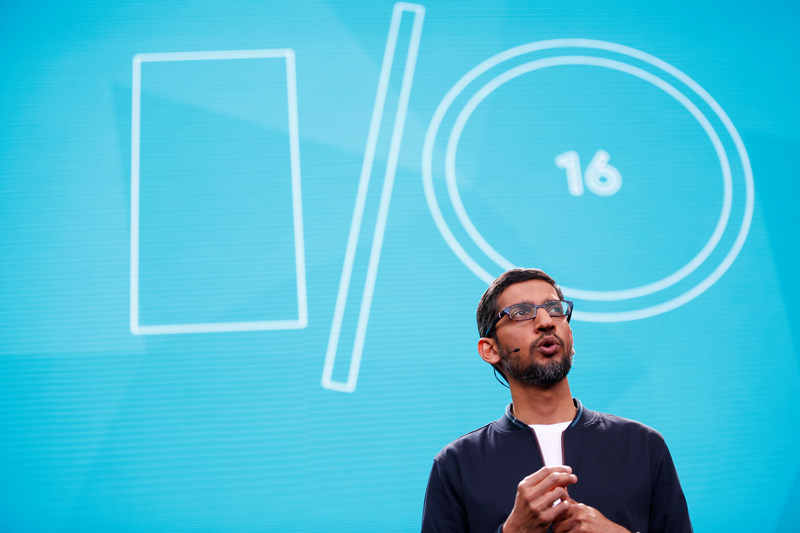 At the annual Google I/O developer's conference earlier this month, some of Android N's features were outlined, while a developer's preview of the software has been available since March, CNET reports. Some Android fans have been amusing themselves with speculation about what the cryptic "N" may stand for. Other beta testers have expressed satisfaction with how smoothly the OS has been running so far. I've been using Android N beta 3 as my daily on a 6p for 2 days now without much issue. Seems pretty stable. As anticipation builds, what are some of the highlights we can all expect? Here's a rundown of some features that are likely to stand out. If you're one of those mobile multi-taskers who wants to keep tabs on different things at once, Android N might be the operating system for you. Google is making it possible to look at two apps simultaneously, using a multi-window view that gives you the option to view the apps in a split screen. CNET reports that while this has feature been available on Samsung and LG phones for several years, it will be more widely available to other Android devices. On a similar note, the company has included a picture-in-picture setting for video-playing apps, which means that you can watch your favorite Vimeo or YouTube videos while looking at Facebook, for instance. As virtual reality becomes an increasingly hot trend in the tech world, Android N looks to be getting in on the action. While not available in the public developer beta, Google will be launching a new virtual reality platform called Daydream that will be powered by Android. Daydream-compatible phones would allow users to use the new virtual reality mode for improved performance while wearing a brand new, yet-to-be-released VR headset. Other companies will be able to release headsets that will work with Daydream. Night owl Android users who covet Apple's Night Shift feature can rejoice that Android N will introduce Night Mode, which will shift the tint of the phone's screen from blue tones to a less sleep-disrupting yellow hue. Google is looking to offer a wider array of emojis beyond the standard goofy yellow blobs that Android users are familiar with. The new emoji will be more like those seen on iOS devices, the Verge reports. They will look more like people, and Google recently proposed 13 new "professional" emoji that would better represent women in a wide range of fields. One of the features listed on Google's developer website that's likely to be popular is the ability to reply to texts directly from a notification. For instance, when you receive an incoming notification, you'll be able to write your reply right within the alert notification at the top of your screen rather than having to open up your text messages first. The new operating system will also include a setting called "Doze on the Go," which is designed to save battery life. It puts a stopper on your phone's background computing when not in use, saving that much-needed juice. For those with a lot of apps running, this feature is key. A previous version of Doze worked when your phone was stationary. Now, this power-save mode will work even when your phone is in motion, while you're out and about and on the go. Similarly, CNET reports that Android is working on what's dubbed Project Svelte, which aims to reduce the amount of memory a phone would need. This is still in the conceptual phase. Some beta users have even released YouTube videos showing a run-through of the software's features.